While the oven is heating, cut sweet potato into four quarter-inch thick slices with a very sharp knife. Line a baking sheet with parchment paper and place the four sweet potato slices on the paper. Drizzle olive oil over the sweet potatoes to evenly coat. Transfer to the oven and bake for 20 minutes, or until soft and slightly browned. While the sweet potatoes are baking, bring 6 cups of water to a boil in a medium-sized pot. Once the water is boiling, carefully place eggs into the pot and let boil for exactly 6 minutes. Slice the avocado in half and spoon into a small bowl, discarding the pit. Add the garlic sea salt and smash lightly with a fork. Once the eggs are done, carefully peel the shell under cold running water. Assemble on a plate using the sweet potato as the toast. 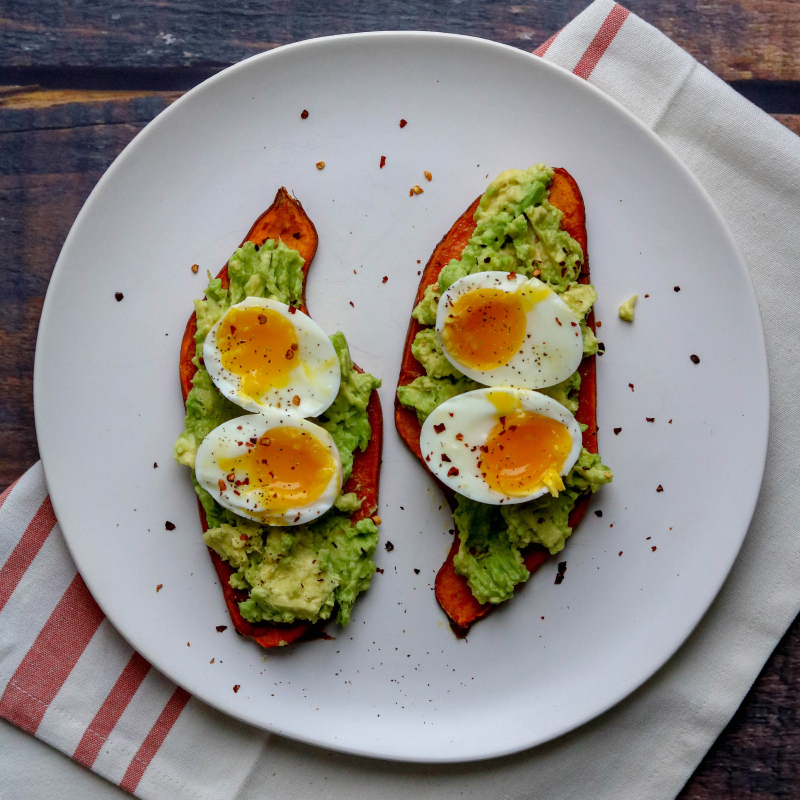 Spread avocado mash onto the toast, top with soft-boiled eggs, and garnish with crushed red pepper chili flakes. This is one of the easiest and most satisfying comfort food breakfasts you’ll ever have — especially if you’re an egg and avocado toast fan. 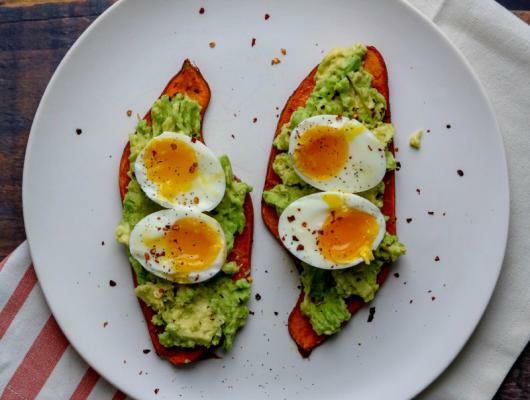 But rather than using traditional whole grain bread, this recipe calls for oven-roasted sweet potatoes, which makes it Whole30 Plan approved and paleo friendly.